Do You Wear Strength and Femininity? 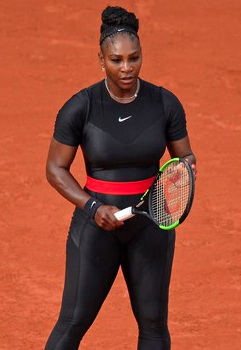 Upon Serena Williams return to the game at the French Open, she wore a compression catsuit that was designed exclusively for her to help prevent blood clots after the birth of her daughter. She even dedicated the suit to the mothers who have experienced complications following pregnancy. The French Tennis Federation officials went crazy and declared that her catsuit "will no longer be accepted." The catsuit that created a new dress code! So now she's rockin' a tutu! 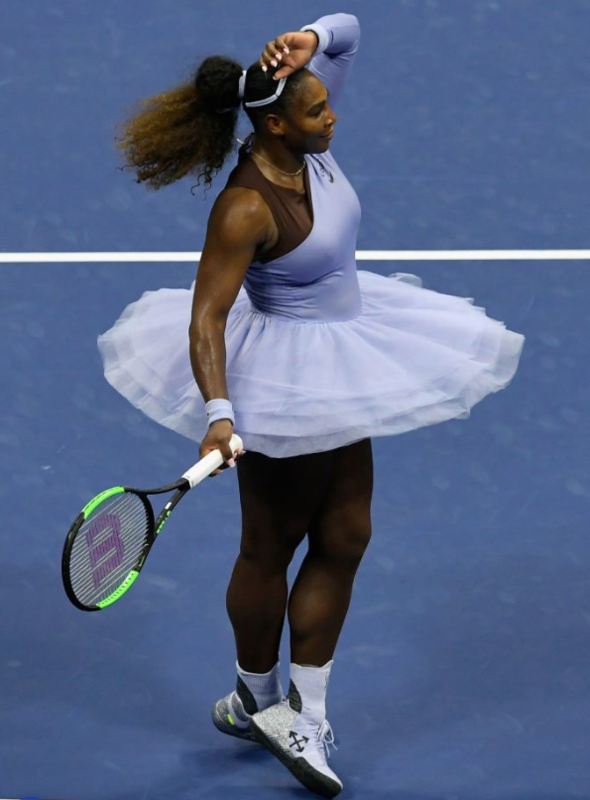 Cut to the U.S. open and Serena's fashion style is in full bloom The two-toned, one-sleeved leotard teamed up with a black tulle tutu and flesh-colored fishnet tights was a collaboration between designer Virgil Abloh and Nike. And the next day she was on the court wearing a lavender tutu. She said that she feels very strong and feminine wearing the tutu It really embodies what she believes that a woman can be strong and beautiful at the same time. I totally agree with Serena's view of fashion and life. She's an amazing role model for all women. Serena is a hero who inspires us to be the best at what we do and she reminds us that sisters (even those from another mother) should always stick together. It's so important to feel your femininity as well as your strength and individuality when wearing clothing. That was one of the main reasons I designed the LuLuwrap. There's something very empowering about seeing a woman expressing her strength and femininity at the same time. How do you wear your strength and femininity?